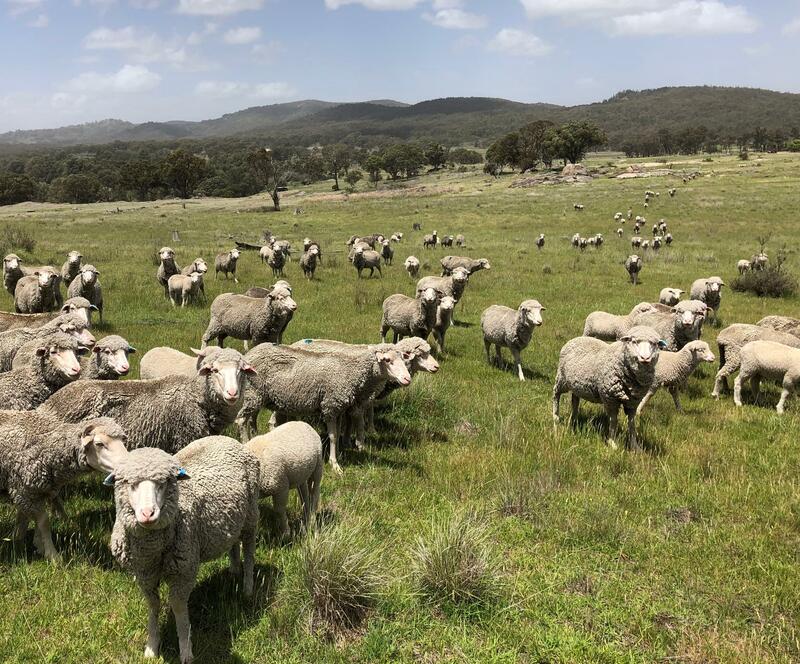 Southern Blue Regenerative is owned by Glen and Lucinda Chapman who both grew up on family properties in the Armidale/Guyra region in the New England, NSW running sheep and cattle. In 2018 we purchased our property east of Armidale near the village of Wollomombi – Tarinore Farm. 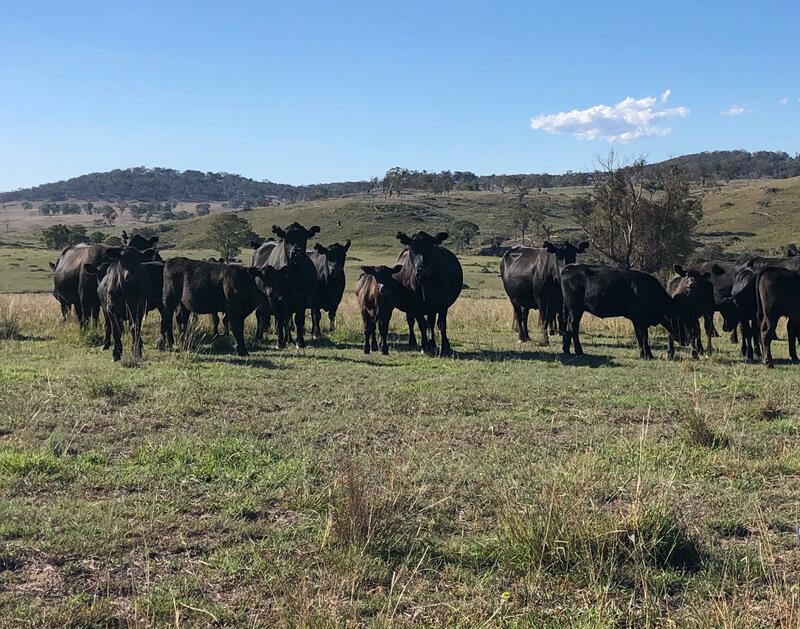 Along with lease land on a family farm west of Guyra, we are producing beef and lamb and are working to make this available to locals in the North of NSW. We base our management on regenerative principles and our family property has been operating under a minimal input and cell grazed holistic management system since the early 90’s allowing native grasslands to rejuvenate. Our new farm is in transition from previous management and we are building healthy soils, biodiversity and a beautiful place for us and our animals. Our aim for the future of the farm is to continue regenerating the soils and plants and introduce multiple enterprises that overlap and benefit each other. After Glen’s parents completed a Grazing for Profit school in the early nineties, he saw there were alternative production methods to what he was being taught at university in his Bachelor of Agricultural Economics. He started researching Keyline Farming techniques and then worked as a consultant focused on holistic management and sustainable grazing with Resource Consulting Services. 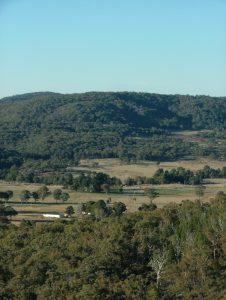 After starting their family Glen and Lucinda returned to Armidale, where Lucinda works for Landcare. Glen started working with regional businesses advising and developing business plans for a wide array of enterprises. This included working on the development of some social enterprise plans with local communities and regional development of ecotourism. Glen developed the first sustainable and regenerative farming tour, which took a small group of farmers to New York, Vermont, Pennsylvania, Virginia and California visiting Joel Salatin’s Polyface Farm, Rodale Institute for research in organic farming and the Centre for Agriculture Economy in Harwick Vermont. Southern Blue Regenerative collaboratively works with a range of regenerative farming and agricultural practitioners to deliver events, training, tours and courses to provide positive action towards a better future in farming, regional communities and working to solve climate change. We have experience in a range of regenerative practices including holistic management, rotational grazing, keyline farming, holistic property planning, sustainable financial management and wealth creation.